If you are wondering if your mind is playing games on you, then you're exactly right! 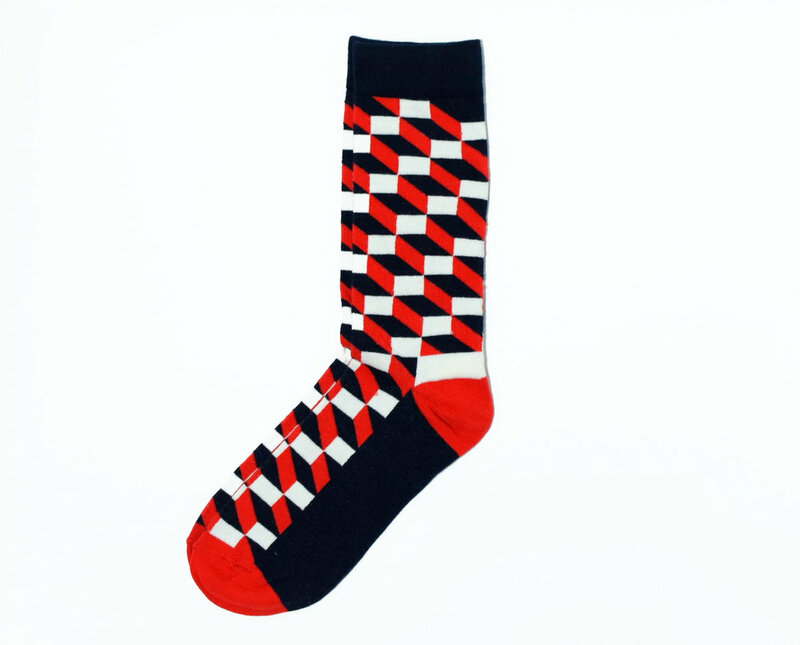 We can't wait to fascinate the crowd with our illusion socks. A combination of fun and interactive blocks that create an optical illusion to be visually appealing to the audience. Pair them up with joggers or board shorts so that way every step you take is magical. If your ready to have your mind blown, these illusion socks will do the trick! Somewhere in the world even David Blaine is blushing.